Book Description: When Marlie agrees to attend a cadaver ball at Vanderbilt Medical School, she did not expect to actually see any cadavers. Or, that a strange apparition would issue her a chilling message. My thoughts: The book is described as being a modern twist on Rebecca and Jane Eyre. That had me intrigued. I have read both and was wanting to see what Julie Ford could do with the adaptation. I went into the story thinking I had a pretty good idea of how it would go. Mystery in a marriage, secrets, danger, all of the descriptors that come to mind when considering the classics. 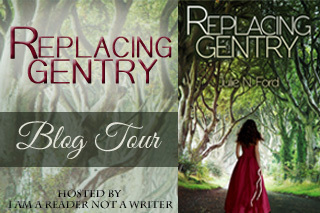 While "Replacing Gentry" did have all of them in it, there was more to the story that I wasn't expecting. Marlie is from California and surprises everyone with her quick decision to marry a state senator from Tennessee. She quickly learns that the societal culture is different. There is a new set of rules that she is expected to learn and master. She has a tendency to bluntness and roots for the lower class. This is not approved of with her new acquaintances. There is also the matter of trying to live up to the expectations. She constantly feels the comparison to her husband's late wife, Gentry. 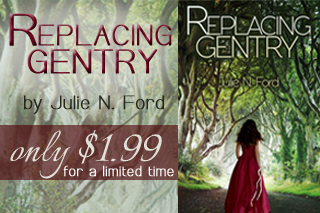 There is a mystery surrounding Gentry that Marlie is determined to figure out. I enjoyed the story and was astounded at some of the situations in the book. It all fell together nicely. 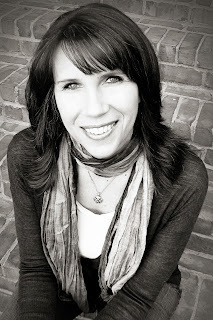 The Gatekeeper's Daughter ~ Book blast!